We see a direct correlation between educating candidates for elected office, activating citizens to be engaged and committed arts voters, and positive electoral outcomes in support of arts and culture! Seeing the need and opportunity to make arts and culture a critical part of a candidate's platform, Texans for the Arts has launched Arts Vote Texas, a nonpartisan public education campaign to raise awareness and support for arts, culture, and creative expression. Working together with artists, arts leaders, residents and educators, we aim to strategically organize, advocate and elevate the arts and culture as a platform issue with elected officials and community leaders. Texans for the Arts (TFA) and ​Dallas Area Cultural Advocacy Coalition (DACAC) are partnering to roll out a pilot plan Arts Vote Dallas to elevate arts and culture in the platforms of candidates running for Mayor and Council positions in the upcoming Dallas elections this May. Click here to learn more about Arts Vote Dallas and sign the Arts Vote Dallas pledge! TEXAS ARTS ADVOCACY DAY 2019! On February 5th, over 180 arts leaders and advocates spoke up at Texans for the Arts' 2019 Texas Arts Advocacy Day. Traveling from across the state, participants spent the morning learning about the issues, at lunch enjoying music in the Rotunda, and then an afternoon making over 80 visits with their Texas legislators and their staff. They shared important data and their stories about how the arts make a difference in their communities and in their legislators' districts and sharing Texans for the Arts' 86th Session Legislative Agenda. Thank you to all of our presenters including Representative Gina Hinojosa (D-49), and to the State Preservation Board's staff for making a day in the Capitol so rewarding. We still have our work cut out for us in the coming weeks. Make sure your legislators continue to hear from you about your work and why supporting the public investment in the arts is so important! The state budget is not finalized until the end of the Session, so keep up the outreach in the coming weeks and months. We will continue to keep you apprised of how to make your voices heard. The arts change our lives and transform our communities! Thank you, again, to all of the participants, for speaking up and playing a vital role in advocating for a strong public investment in the arts. It continues to be important that our Texas State Legislators hear from each of us about how the arts benefit our lives, our communities, our school children, the Texas economy, and much more! 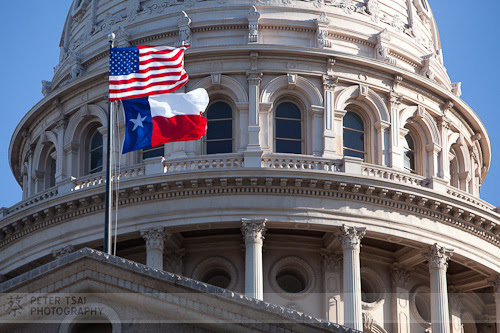 The Texas House of Representatives saw some changes in its makeup following the mid-term elections on November 6th, 2018. The House will have 84 Republicans and 66 Democrats to begin the 86th Legislative Session as 12 seats switched from Republican to Democrat. And, we have seen that Representative Greg Bonnen (R-25) has replaced former Representative Joe Straus as Speaker of the House. The Texas Senate also has some fairly significant changes. It will have 30 Senators at the beginning of next session as Sylvia Garcia (D-Houston) won her Congressional race and will resign her state Senate seat. The initial makeup will be 19 Republicans and 11 Democrats. Two Republicans lost their seats - Konni Burton (R-Colleyville) and Don Huffines (R-Dallas). They will be replaced by Beverly Powell (D) and Nathan Johnson (D), respectively. Other newcomers to the Texas Senate are Rep. Pat Fallon (R), who replaces Craig Estes (R-Wichita Falls); Angela Paxton (R), who replaces Van Taylor (R-Plano); and Pete Flores (R-Pleasanton), who defeated Carlos Uresti (D-San Antonio) in a special election earlier this year. The 12 GOP House districts won by Democrats have at least one thing in common: They're located on the outskirts of Texas' biggest cities, with Republican representatives losing in the suburbs of Houston, Dallas and Fort Worth. It was also an election marked by women winning in races across the country. Nine of the Democrats who prevailed in the 14 Texas House and Senate seats are women. The midterm elections also mark the beginning of the final push towards the start of the 86th Congressional Session in Texas. Texans for the Arts is looking forward to working with members of both parties to achieve our goal of increased funding and investment in the arts across Texas, enhancing the quality of life for residents, being a beacon for tourism, growing our economy, and strengthening the education of our children....through the arts! For a comprehensive breakdown of each state-wide race and election results, click HERE. The Texas statewide elections took place on Tuesday, November 6, 2018! Of the 285 state legislative candidates, 62 replied (22%). In the Texas State Senate, 15 seats out of 31 were up for election in 2018. In the Texas State House of Representatives, all 150 seats were up for election. You can see all of the responses received to our 2018 Candidate Survey here. We will continue to reference these survey comments and use them as openers for conversations with our elected officials about why the arts are so important across the state. NEA/NEH FUNDING UPDATES - Congress returned to Washington the week of November 12th for the "lame duck" session. There are 4-5 must-pass pieces of legislation including the Interior Appropriations Bill. This Interior Appropriations Bill includes a $2 million increase for both the National Endowment for the Arts and National Endowment for the Humanities. It's uncertain if these outstanding appropriations bills will be pushed through as an omnibus or individually. The current Continuing Resolution (CR) runs out on December 6. If Congress does another CR, it will continue to fund the NEA at $153 million, not the new funding level of $155 million. There isn't a Call-To-Action at this time, but we will keep you informed. Even with Texas Arts Advocacy Day on the horizon (February 5, 2019), you can get your feet wet by taking our advocacy training at “Arts Advocacy Interim Challenge” and make sure your legislators know that #TXArtsMatter. Texans for the Arts hosts Texas Arts Advocacy Day every other year during the Texas Legislative Session. That’s the January–May in odd numbered years when our state legislators are in Austin! But what about the other 19 months when they are “at home” in their districts? This is THE time to catch them on their home turf! Getting to know your decision makers at the municipal, state and federal level is important in our collective effort to increase the public investment in the arts across Texas. And legislators want to hear from YOU - the voters in their districts! So, Texans for the Arts has kicked off its inaugural “Arts Advocacy Interim Challenge”, accompanied by a ‘Community Advocacy Tool Kit’ to help you make the best use of the “Interim”. Get to know your legislators (or this being an election year, get to know the candidates!) and make sure they know the good work YOU are doing in your community and why supporting the arts should be a vital part of their legislative agenda in the next Legislative Session! Come January 2019, let’s make sure every Texas legislator understands that the arts are a cornerstone of our Texas economy, that they drive community change, create a true sense of place, build bridges and connect diverse cultures, and bring meaning and value to our lives both as individuals and as a community! We’re here to help! Let us know how you’re doing and reach out with questions, ideas, successes and challenges! Advocacy is all about sharing your passion for your work and ensuring your decision makers recognize the critical impact of the arts in our lives and in our communities! "Wow, what a day. I cannot thank you and your team enough for such a wonderful information filled day." Those are the inspiring remarks of one of the attendees at our March 1st Arts Funding & Leadership Development Workshop hosted by Brad Sharp, Executive Director of Creative Frisco, in Frisco Texas. A special shout out to Brad and to our presenters: Frisco Mayor Jeff Cheney; Charles Eisemann, arts advocate; Collin County Commissioner Susan Fletcher; Cookie Ruiz, Executive Director of Ballet Austin and President of Texans for the Arts; Fiona Bond, Executive Director of Creative Waco and board member of Texans for the Arts; and Ann S. Graham, Executive Director of Texans for the Arts. We look forward to a stellar group of new "Texans for the Arts Certified State Arts Advocates" as a outcome of this intensive day long workshop. Mayor Cheney also used this as an occasion to kick off March 2018 as "Arts Advocacy Month" with a proclamation and notable remarks about the positive impact that the arts have on Frisco and the region. For more information, click here. Over 20 arts leaders from across Texas joined us at National Arts Advocacy Day, March 12-13, 2018 in Washington, D.C. We made 21 congressional visits seeking an increase in funding for the NEA, NEH, IMLS and CPB, supporting the Universal Federal Tax Credit and other pro-arts policies that benefit artists and the nonprofit sector. Texans for the Arts served as "State Captain" and lead the Texas delegation, scheduling meetings with our respective Congressional leaders to provide them with our stories and statistics on the value of the arts to Texas as an international leader in arts, culture, business, and more. Check out this YouTube Arts Advocacy Day 2018 promo video to learn more! Senate Natural Resources & Economic Development Committee conducted a hearing on February 1st in Houston to which Texans for the Arts provided testimony about the Hotel Occupancy Tax, joined by the Texas Comptroller's Office, Texas Hotel & Lodging Association, Texas Municipal League, Houston First, and representatives of Sugarland, Brenham and Galveston, TX. There was significant discussion around SB 1221, the Hotel Occupancy Tax (HOT) Transparency Bill which Texans for the Arts initiated in the 85th Session, to learn more about how municipalities that levy the Municipal HOT invest the tax across the eligible uses, with a keen interest in the 15% allowable for the arts. SB1221 passed and was signed into law effective September 1, 2017. Municipalities are now required to provide HOT data to the Texas State Comptroller's Office between January 1st and February 20th of every year. This data will greatly inform Texans for the Arts so that we can work with you to ensure that investing HOT in the arts and cultural tourism is part of your municipal budget and vision for the future. You can learn more at the Comptroller's reporting website. "Tax Cut & Jobs Act" - Tax policy changes ahead! With the President's signing of the federal tax overhaul in late December, significant changes are ahead for nonprofits and the arts community. A number of resources are available to learn more about those impacts including: National Council of Nonprofits; Americans for the Arts Action Fund; and Venable LLP. The ultimate impact, with the fact that the Universal Charitable Tax Deduction did not pass, remains to be seen. Despite some researchers anticipating a loss in charitable giving of almost $20 billion, top GOP Congressional leaders still believe that a strong economy will make up the difference. It will be important for the charitable community to document the true impact over the next 18 months. On a positive note, there were several other menacing provisions in the House and Senate bills that were omitted in the final conference bill that would have caused problems for nonprofit charities, particularly arts-related groups. Check out this chart that summarizes the outcome of the final Tax bill. HURRICANE HARVEY: Updates on Resources and How To Help! The recovery in Houston and along the Texas coastal region from Hurricane Harvey is still underway and will be long and costly. Our thoughts are with everyone impacted by this disaster! Texans for the Arts, joins hundreds of organizations and individuals reaching out to all affected by this disaster, helping to share information about resources available, with particular reach to arts organizations and artists. While most FEMA and SBA loan deadlines are past, there is still an opportunity to help and donate by going to Harvey Arts Recovery. A special and heartfelt "thank you" to everyone who has been contributing to the Hurricane Harvey rebuilding effort. It will be a long effort - made easier by the selfless generosity and deep hearts of all. The Texas Legislature's 30-day Special Session ended on August 15, 2017 without passage of any "Privacy Acts", commonly known as "bathroom bills". Texans for the Arts' 85th Legislative Agenda included opposition to any such legislation. The economic damage from perceived discriminatory and unwelcoming public policies would have had a particular negative impact on travel and tourism and therefore the Hotel Occupancy Tax, a major source for public funding for the arts across Texas. Special thanks to our Texans for the Arts' grassroots membership, administrative staff and board for sending VoterVoice messages and letters to their Texas legislators, for submitting written testimony in opposition, and for participating in numerous rallies and events. Undoubtedly the topic will come up again as an issue during the 2018 election cycle and the 86th Legislative Session in 2019. Thank you for your hard work in support of the arts in the legislative process! On July 18th 2017, the full (federal) House Appropriations Committee met and approved funding for the National Endowment for the Arts at $145 million for FY 2018. Although we are disappointed by this proposed $5 million cut (from $150 million in FY 2017), we are encouraged that it is not the termination proposal sought by the Administration since March. This House proposal falls short of the funding requested by a record bipartisan group of 154 members of Congress of $155 million. Similar to the request made by members in the House, 40 Senators requested NEA funding of at least $150 million for FY 2018. What happens next? Now, members of Congress are discussing how to continue work to pass these proposals before funding runs out at the end of September. Still to come is the U.S. Senate’s proposal expected after Labor Day. With your help, we are asking the U.S. Senate to meet the request of $155 million for both Endowments. Take 2 minutes now to contact your U.S. Senators by using our easy, customizable form. during the 85th Legislative Session that began on January 9, 2017. The 85th Session ended on Monday, May 29th and we are already thinking ahead to 2019 and the start of the 86th Legislative Session. Your commitment, your voice, and your engagement this Session were critical in heightening the fact that the arts are a dynamic part of the Texas economy and a vital part of making our communities vibrant, healthy and equitable all across Texas. Thank you! But first, an important recap of all that we accomplished, and all that did not come our way. A WIN WIN – is the passage of SB 1221 – the Hotel Occupancy Tax (HOT) Reporting Bill. This was Texans for the Arts’ very first Bill and will require municipalities to annually provide data around arts expenditures (and other eligible HOT uses). This data will greatly inform our work in the coming years so that we can work with you and your municipalities to ensure that investing in the arts and cultural tourism is a part of your municipal budget! SB 1221 was signed by Governor Greg Abbott on June 1, 2017 and becomes effective September 1, 2017. A huge shout-out to Senator Kirk Watson (D-Austin) and Representative Gina Hinojosa (D-Austin), for serving as our Bill sponsors in the Senate and House, respectively, and to their staffs for working tirelessly to see this Bill through. For a glimpse at the pathway the Bill has had to take click here. A DEFINITIVE LOSS – was the Senate and House cuts to the $5 million appropriation to Texas Commission on the Arts’ (TCA) Cultural & Fine Arts District grant program. As you know, Texans for the Arts, led the legislative strategy that secured those $ for the first time in 2017. The $5 million was wisely invested in TCA cultural districts across the state and with studies conducted by the Texas Cultural Trust and TXP Inc., we shared data and stories to attest to their success and high ROI. We started the Session with the assurances that the $5 million would be part of the TCA’s “base funding”, but it never made it into the Senate and House budget bills SB1 and HB 2. As Senator Jane Nelson, Chair of the Senate Finance and Co-Chair of Budget Conference Committee, said in her comments before announcing the final Conference Committee budget, the issues in Article 1 “…are particularly important to so many Texans – history, the arts, tourism and economic development”. That said, up against reduced state-wide revenues, where ALL agencies saw a minimum 4% cut, the TCA's budget cuts of 28% hit hard! The Budget Conference Committee did restore an additional $723,917 Senate cut to the TCA’s Arts Education grant program bringing the TCA’s total appropriation for 2018-2019 to $12,711,276. * Editorials, OpEds, local news arts impact stories, and more appeared in dozens of newspapers and media outlets across the state. Together, we turned over every stone, called and visited and emailed and Tweeted and Facebooked every Texas legislative office, over and again! And…we raised the bar that the arts matter across Texas! We thank our Texas legislators for their public service and we thank their staffs for always welcoming us to their offices and for giving us time to share our stories. * Gear up with Texans for the Arts to BUILD ON the relationships we started this session with all of our Texas Legislators. * Get ready for the November 2018 elections - local, state and national - to ensure the election of pro-arts candidates. * Get to know your legislators! Invite them to your programs and performances, follow you on social media, and learn more about what you do. Visit them when they are “home”! Follow their interests and work to ensure the arts are a part of their own story! And, if you aren’t already a member of Texans for the Arts, join us today! 100% of our income comes from membership of individuals and arts organizations like you from across the state and goes directly towards advocating and lobbying to increase public support for the arts and empowering YOU to use your voice in the legislative process. We will have more to share in the coming weeks, including reaching out to our Texans for the Arts' members to survey them on their needs, concerns, opportunities and threats. We’ll support ongoing advocacy to keep the National Endowment for the Arts for the Humanities and the Corporation for Public Broadcasting alive and funded through the federal budget process. And, we’ll keep you apprised of the public funding landscape of the arts across Texas. Thank you for being a critical part of the grassroots movement to build more vibrant, healthy and equitable communities across Texas through the arts! Please get in touch with any questions, ideas, thoughts, challenges. We look forward to hearing from you! March 20-21, 2017, a delegation of Texas arts leaders attended National Arts Advocacy Day in Washington, D.C. to meet with our Texas Congressional leaders about arts issues at the federal level - in particular threatened cuts to the National Endowment for the Arts, the National Endowment for the Humanities, the Corporation for Public Broadcasting. Additional issue areas included pending changes to tax policy, immigration policy, health care, and more. To learn more about the campaign to save the National Endowment for the Arts and to take action click here! Special thanks to the Texas Commission on the Arts for their generous support of 2017 Arts Advocacy Day through a grant to Texans for the Arts Foundation and to the Texas Cultural Trust for underwriting our Happy Hour Reception. AND, thank you Texas State Senators and Representatives for meeting with us and listening! Did you know that the arts generate $5.5 BILLION for the Texas economy? That the arts contribute nearly $343.7 MILLION in state sales tax? That at-risk high school students who complete more than one art class are half as likely to drop out? These and other dynamic data reflect the power of the arts to grow the economy of Texas and help students succeed! Check out the Texas Cultural Trust’s 2017 "Invest in the Arts" study here! Special thanks to the students of MIS 374 at the McCombs Business School of the University of Texas at Austin for building this site!